On Friday 21 November 2014, the on-site Cryostat Workshop is inaugurated in the presence of members of the press. 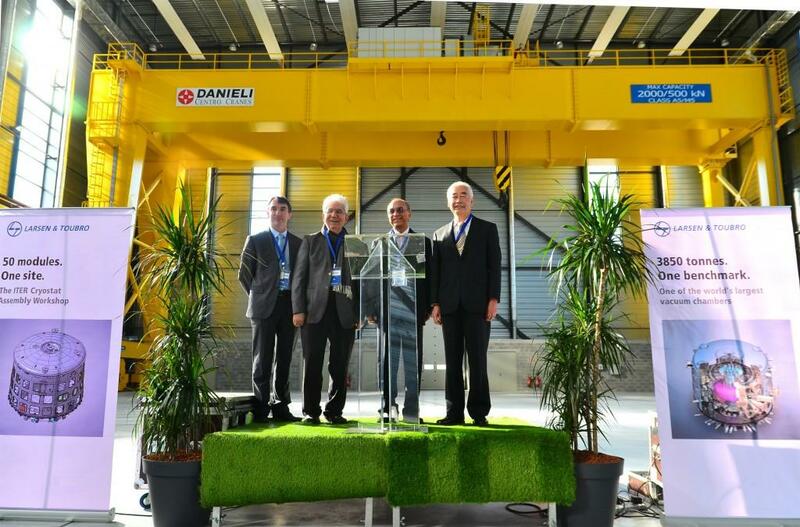 Left to right: Benoît Moncade, director-general of building contractor Spie-Batignolles; Predhiman Krishan Kaw, member of the Indian delegation to the ITER Council; M.V. Kotwal, the president of Larsen & Toubro's Heavy Engineering Division (responsible for the fabrication of the ITER cryostat); and ITER Director-General Osamu Motojima. The interior of the completed Cryostat Workshop photographed in November 2014. Within the on-site workshop, cryostat assembly activities will take place on two huge steel platforms built to support the weight of the components, jigs and fixtures. The complete Cryostat Workshop, seen from the foundations of the Assembly Building. 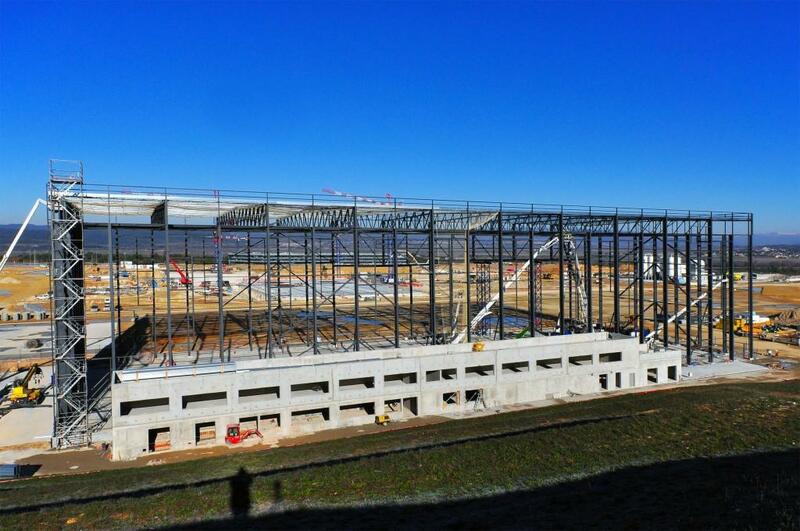 The metallic super-structure is finished; the gantry crane is in place. 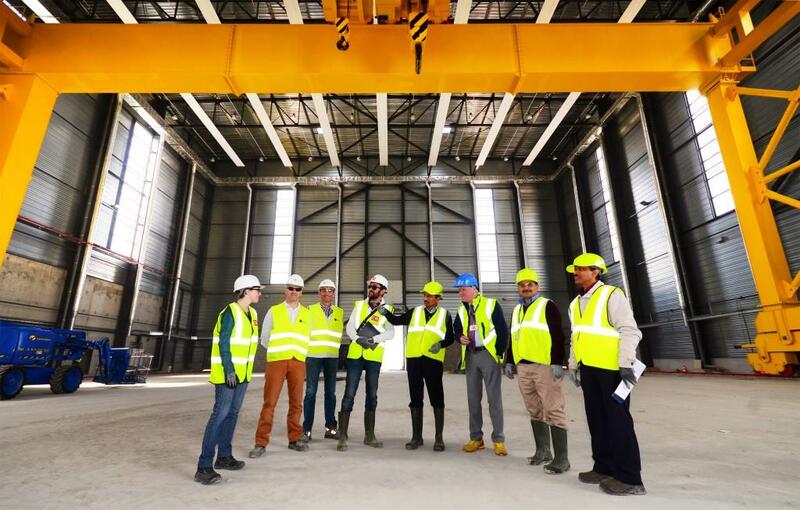 A small delegation from the ITER Organization and the Indian Domestic Agency (which is responsible for cryostat fabrication and assembly) notes the progress accomplished on the Cryostat Workshop since building works began in June 2013. Taken before 7:00 a.m., the completed Cryostat Workshop glows silver as the day rises. The 18-metre-tall gantry crane is now in place on the inside. 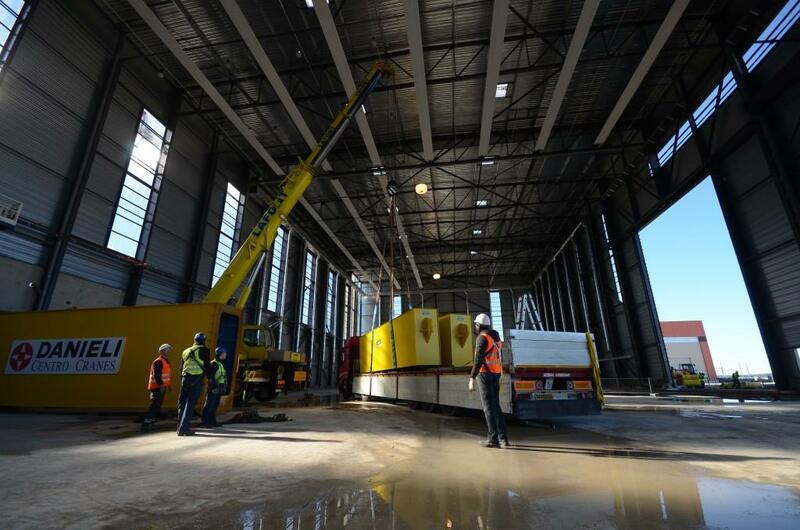 After assembly, the large sections of the cryostat will leave the Workshop through the large door on the west facade for transportation to the Tokamak Pit. 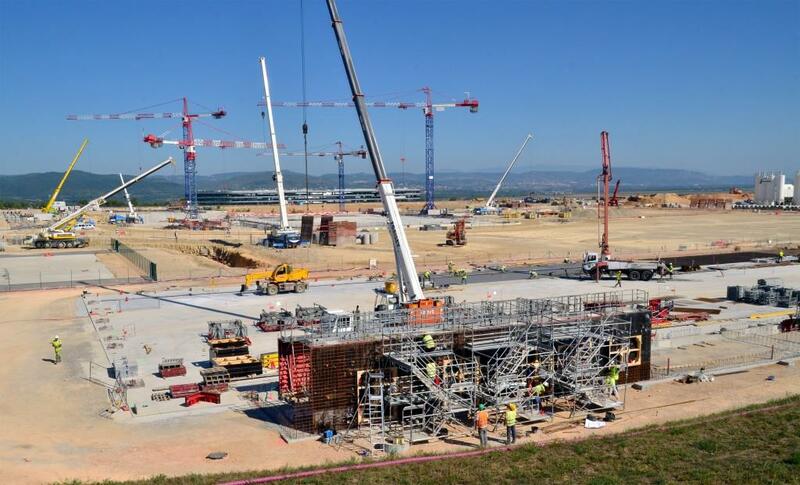 On 12 February 2014, nine months after construction began on ITER's on-site Cryostat Workshop, the first elements of the workshop's gantry crane were delivered to the ITER site. 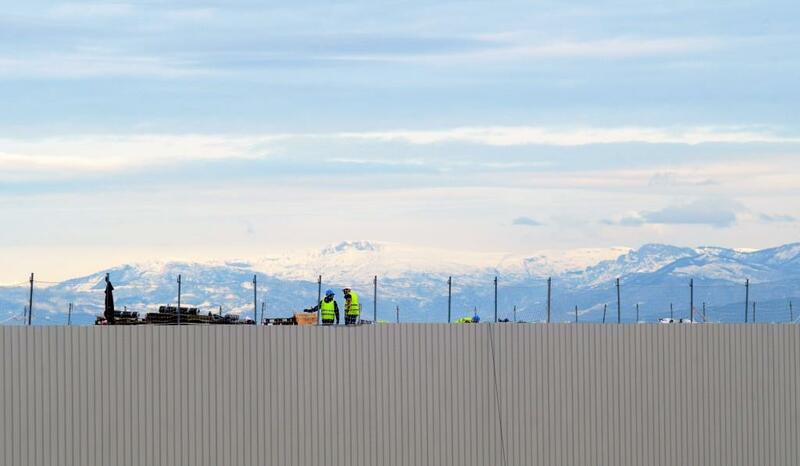 Against the backdrop of the snowy pre-Alps, workers on the roof of the Cryostat Workshop in February position large pieces of aluminum cladding. 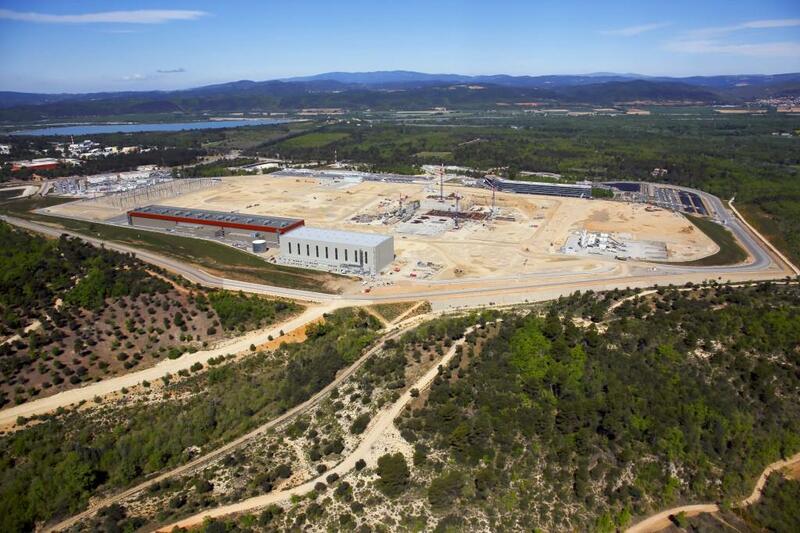 The four ITER cryostat segments—with a diameter of 30 metres each—will leave the facility by the great door on the left to be positioned in the Tokamak Building. 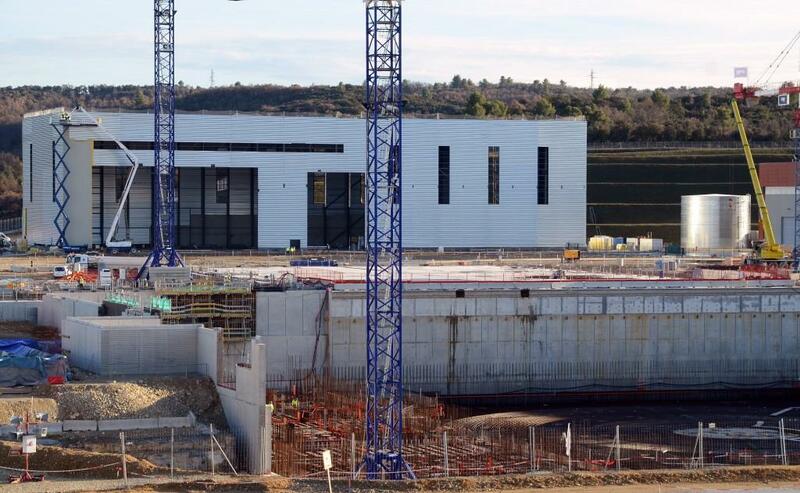 The Cryostat Workshop (left) takes its place next to the Poloidal Field Coils Winding Facility as the second structure on the ITER platform. 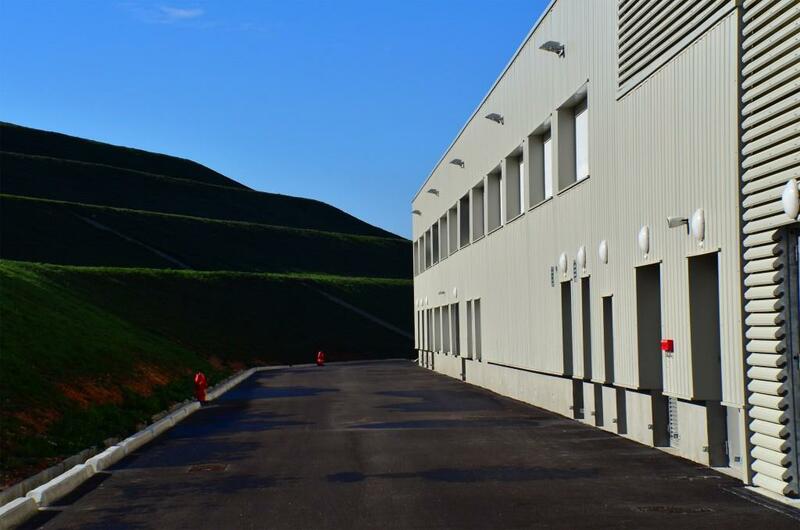 A total of 39 buildings or technical areas are planned in all. 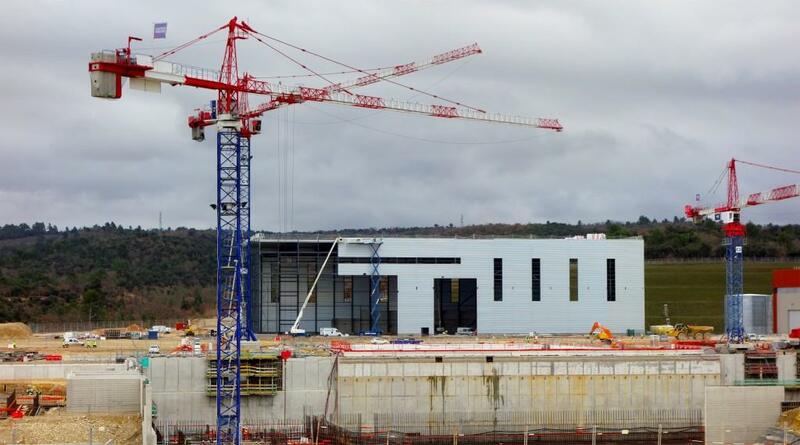 The vacuum container that will surround the tokamak and the magnets (the ITER cryostat) will be approximately 30 metres tall and 30 metres wide. Four large segments will be assembled in this on-site workshop. 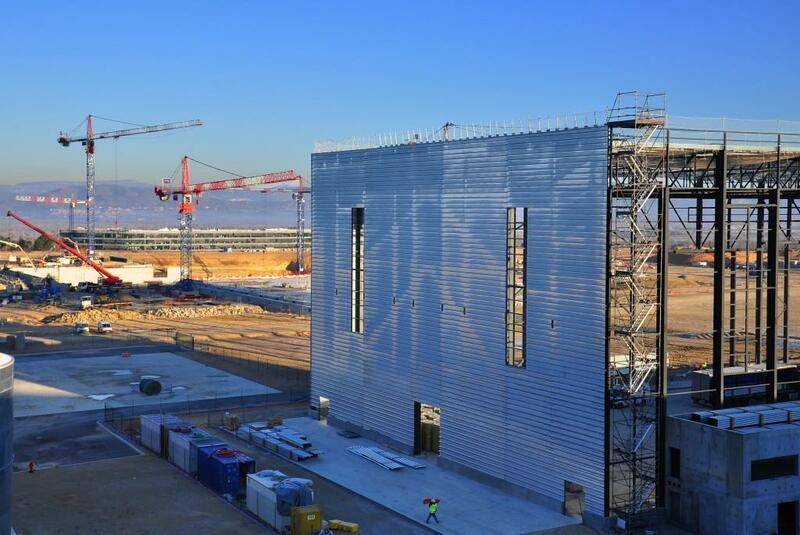 As cladding progressively covers the metallic structure of the Cryostat Workshop, it becomes one of the most visible features of the ITER platform. 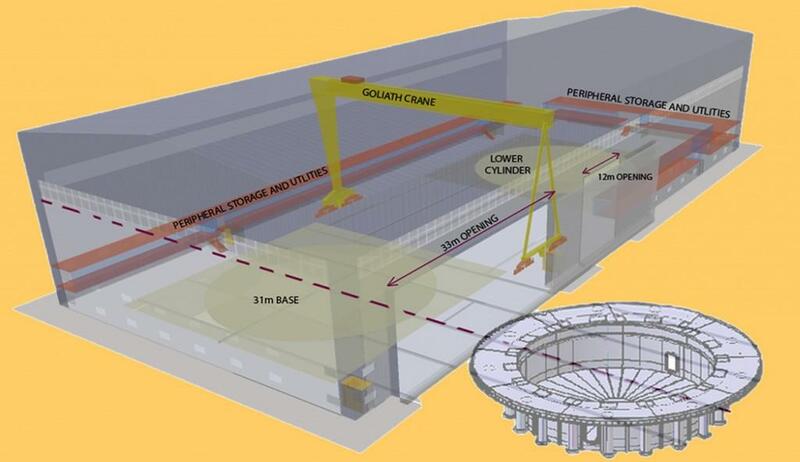 In this schematic, we get a look inside the Cryostat Workshop where a goliath crane will run the length of the building between the two assembly areas. 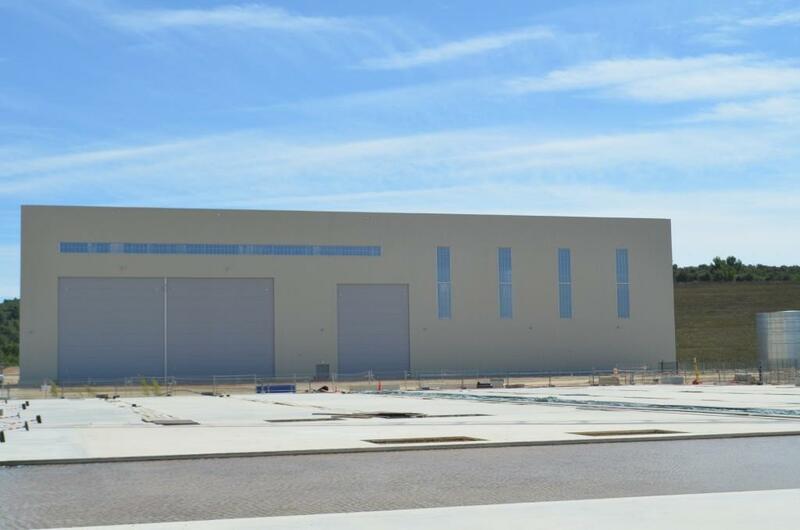 Four completed components, weighing from 600-1,250 tonnes, will leave the facility by the western door. 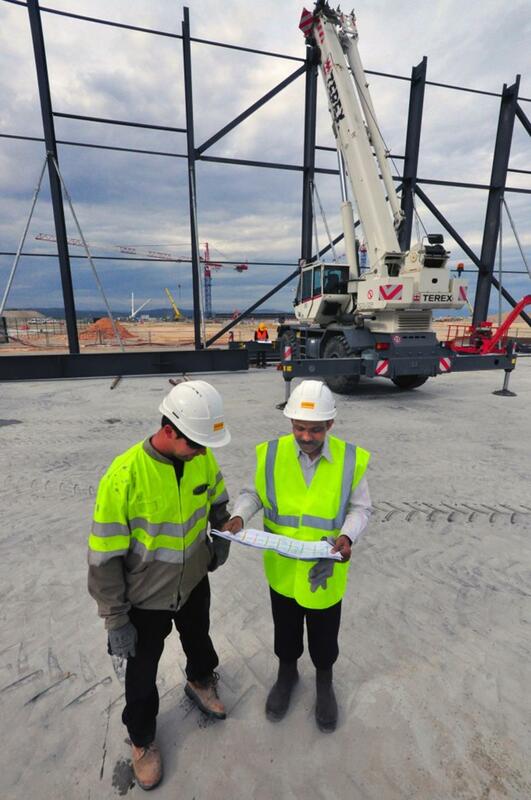 As the ITER site becomes more and more congested, the best lookout point will soon be the top of the Cryostat Workshop! 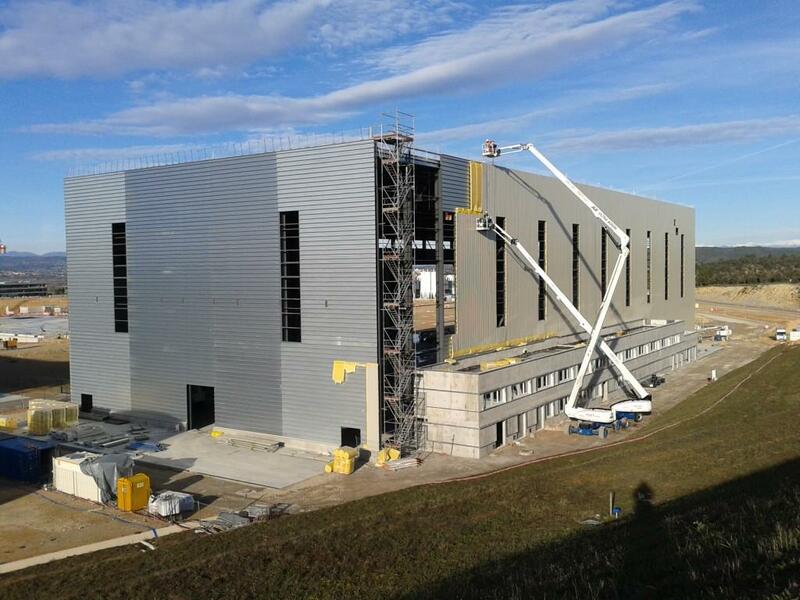 Cladding works continue on the structure of the Cryostat Workshop as 2013 draws to a close. The cryostat segments will be needed in two waves—first the two lower segments, and then approximately two years later the two upper segments. Two assembly platforms will permit parallel assembly activities in the Cryostat Workshop. Approximately 25 people are currently working on the site of the Cryostat Workshop and works are progressing as scheduled. The Cryostat Workshop is nine metres taller than its closest neighbour—the Poloidal Field Coils Winding Facility. 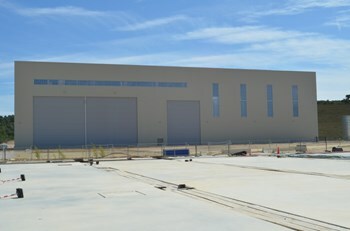 On the south side of the building, cladding operations have begun. 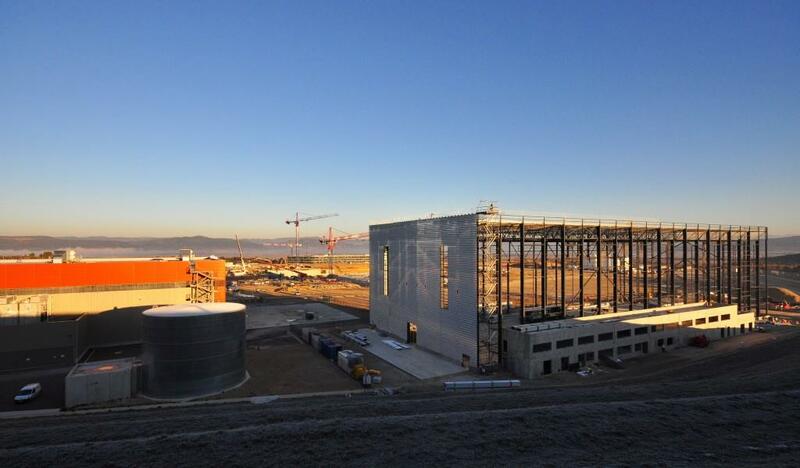 Segments of the cryostat will leave the Workshop and be transported in a straight line directly into the Assembly Building, whose foundation slab is visible through the beams. 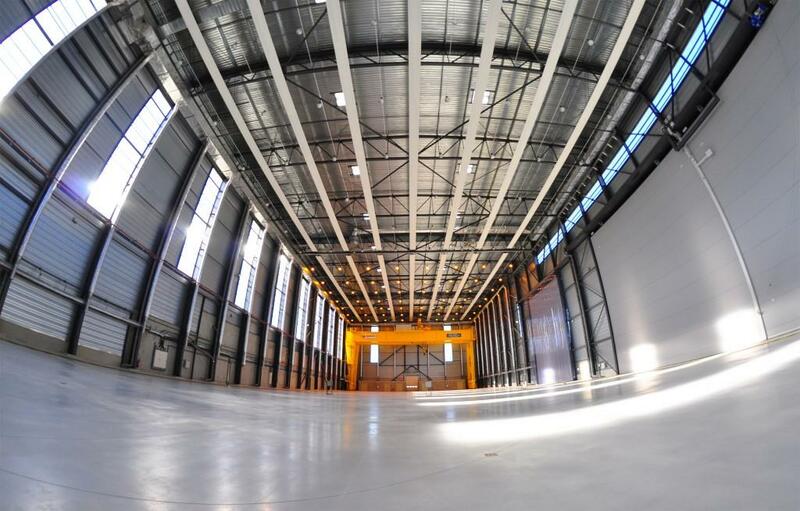 At 110 metres long, 44 metres wide and 27 meters tall, the Cryostat Workshop will be more of a factory than a workshop. 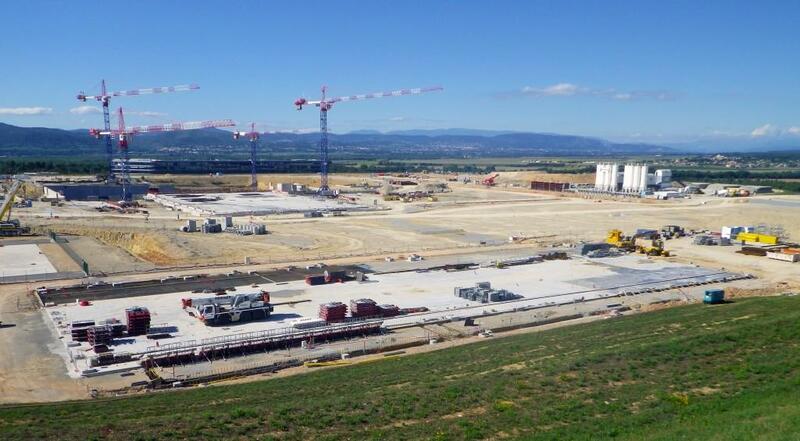 When it is completed in February 2014 it will be second industrial building on the ITER platform. 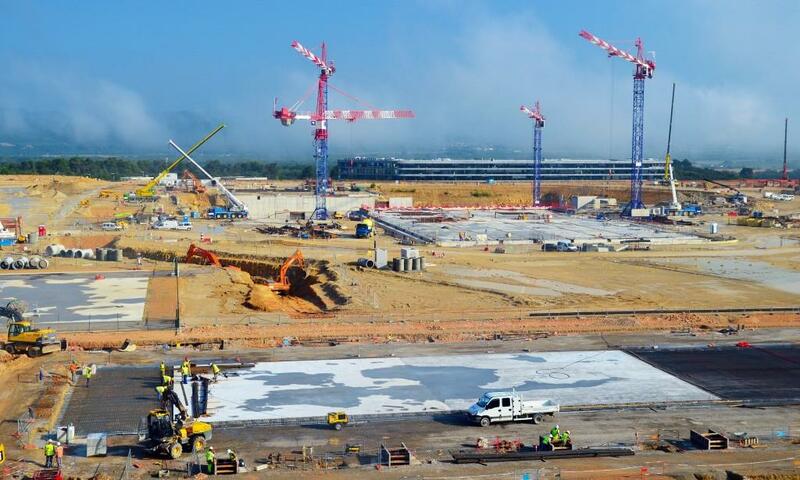 About half of 50 steel columns are already in place; in the coming weeks they will double in height to attain 27 metres. 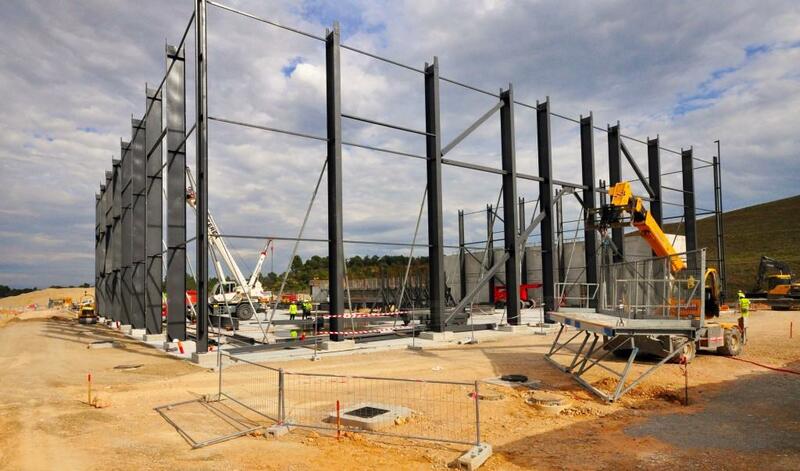 The steel structure will be light, but sturdy for a building this size. 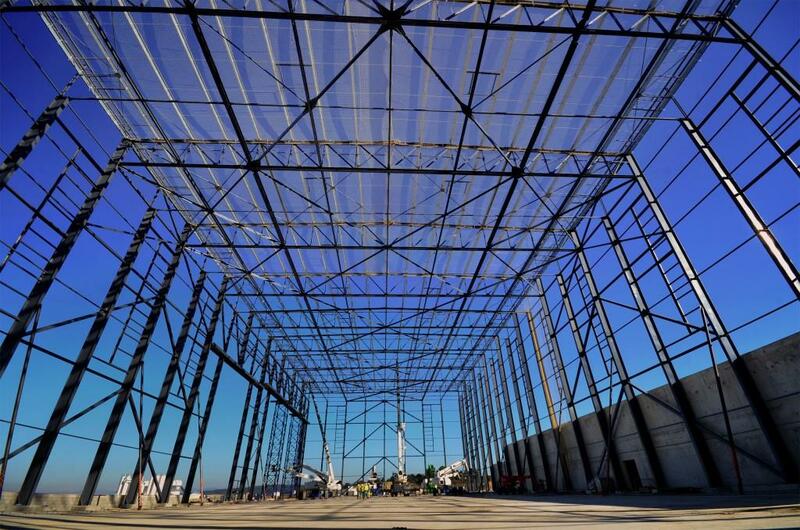 Approximately 500 tonnes of steel will go into the trusses, beams and columns—enough to withstand the strong Mistral wind that regularly blows over Provence. Steel trusses are stocked on the basemat, while construction progresses on the offices and technical rooms of the Cryostat Workshop. 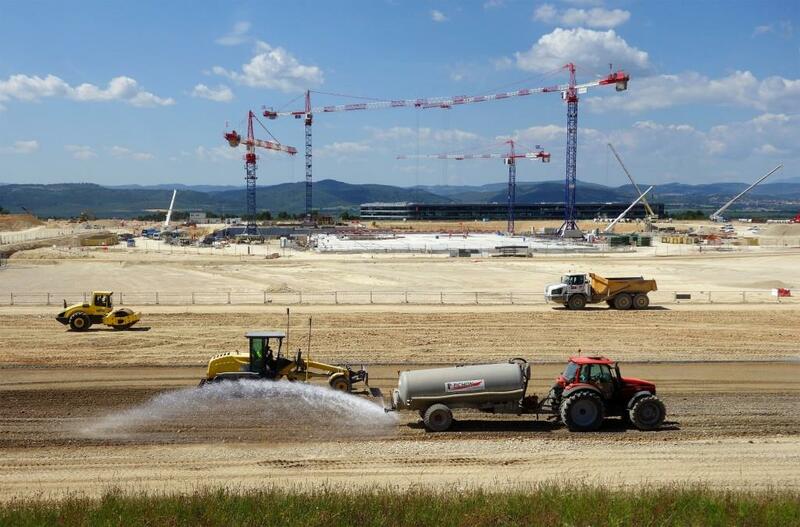 As the last foundation segment is poured on the far side of the basemat, work begins in the foreground on the walls of the technical workshops and offices. Approximately 20 people are working currently on the site of the Cryostat Workshop, where the basemat is nearly completed and pouring is about to begin on the first floor of the office building. Adjacent to the Cryostat Workshop, the ancillary building under constrution will house offices, machinery, power supplies and other utilities. Within the on-site Cryostat Workshop, assembly activities will take place on two huge steel platforms built to support the weight of the components, jigs and fixtures. Foreground: the basemat for the temporary Cryostat Workshop. 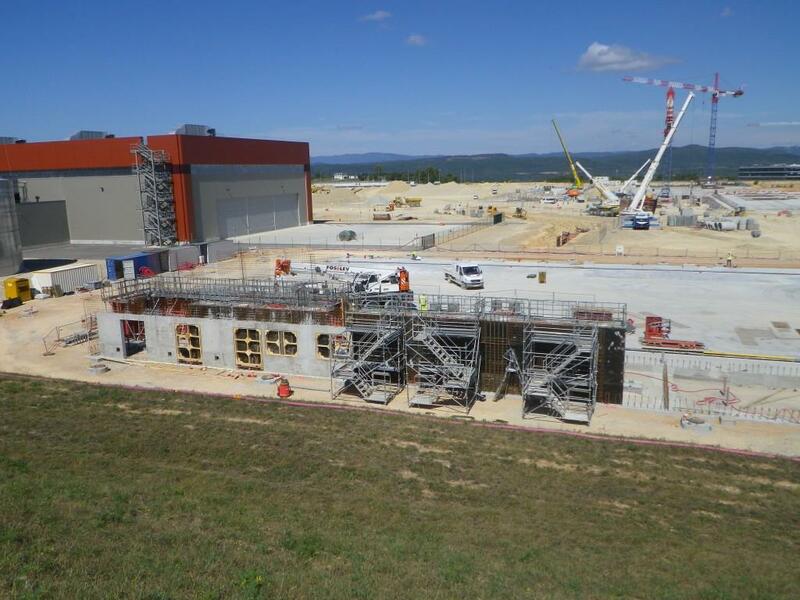 Left: the exit platform for the completed poloidal field coils. Right centre: the Assembly Building basemat. 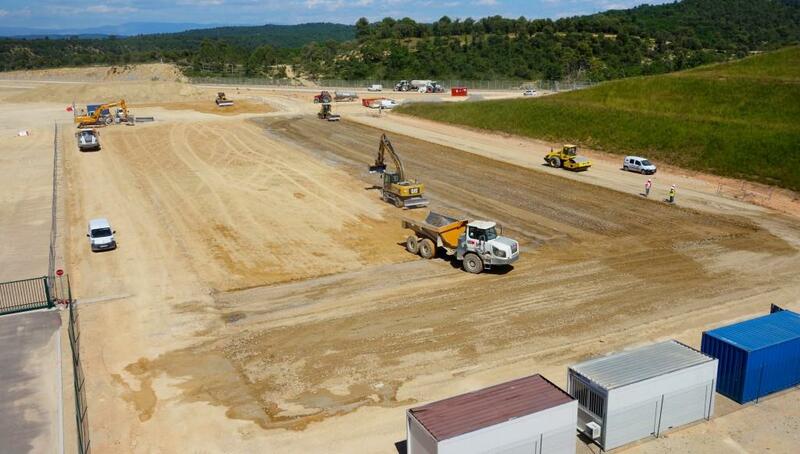 Concrete pouring is about to begin on the Cryostat Workshop in July 2013. 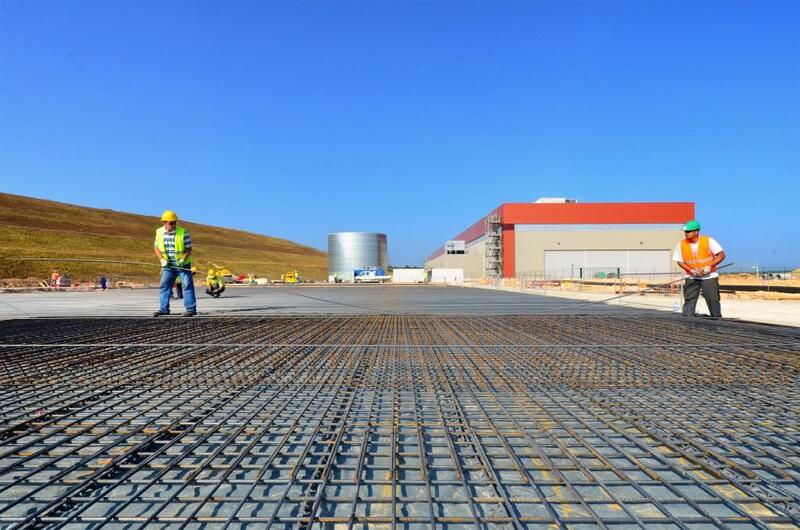 Workers complete rebar operations on the 5,500 square-metre slab of the Cryostat Workshop, adjacent to the Poloidal Field Coils Winding Facility. The Cryostat Workshop, which will occupy the parcel of land in the foreground, will be only a hundred metres or so from the entrance to the Assembly Hall. 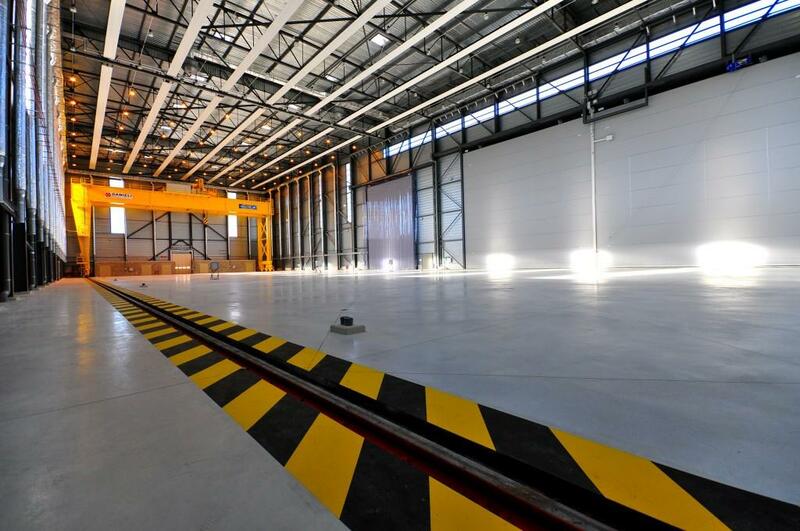 The football field-size (50 x 100 m) Workshop will have equipment for machining, welding and testing, and a large "goliath" crane capable of travelling the facility's full length. 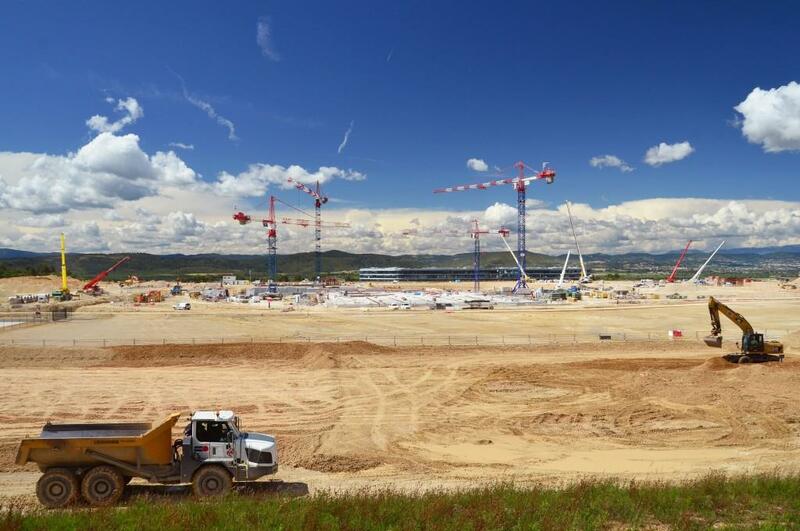 The Poloidal Field Winding Facility and the Cryostat Workshop, side by side on the platform, are the two structures on site that will house the assembly of components that are too large to travel from the Domestic Agencies. 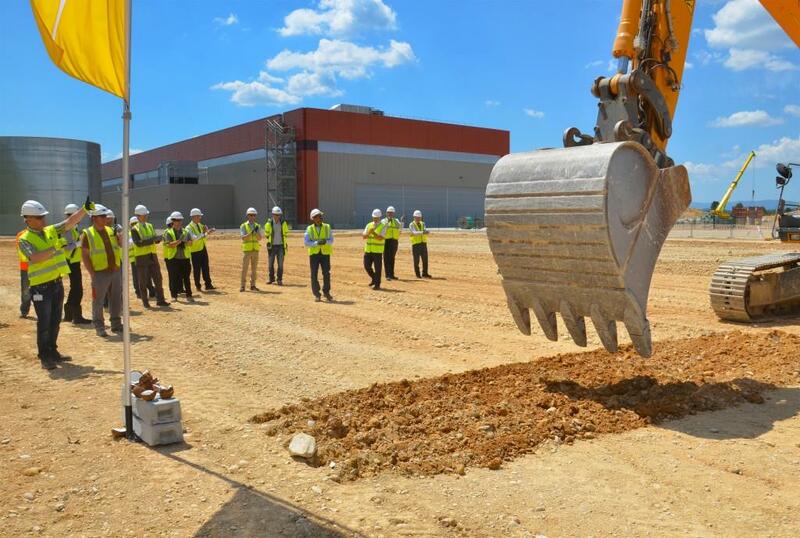 A large excavator symbolically scratches the earth on the site of the future Cryostat Workshop during a ground breaking ceremony in June. 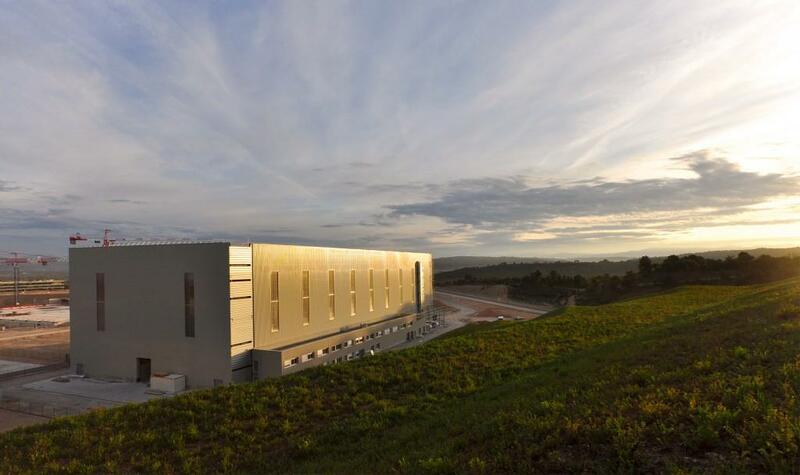 Since this small portion of the ITER platform has been made available to the Indian Domestic Agency, it was natural to place the parcel-sized piece of India under the protection of Ganesha, the "Remover of Obstacles." Four main cryostat sections (top lid, upper cylinder, lower cylinder and base) will be assembled in the Cryostat Workshop from 54 smaller segments shipped from India. 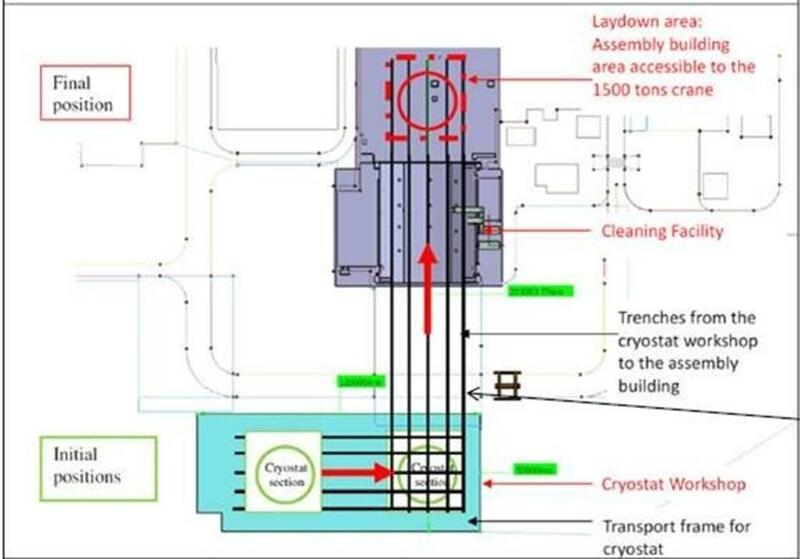 The Cryostat Workshop will be positioned on the platform in such a way that the four main cryostat sections will leave the building on transporter platforms and travel in a direct line, on rails, to the Assembly cleaning facility. 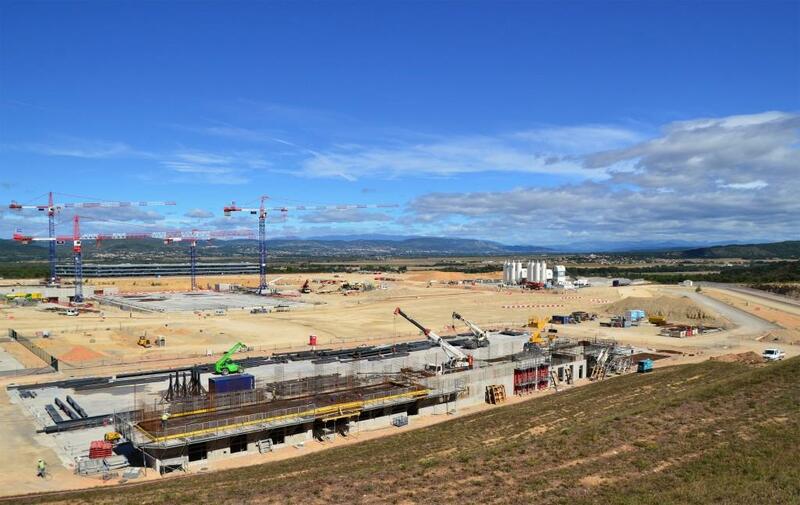 30 metres high, 30 metres wide, 3,800 tonnes—the ITER cryostat will provide the super-cool, vacuum environment for the vacuum vessel and magnets. The first cryostat segments arrived in late 2015 from India. Welding operations got off to a start in September 2016. 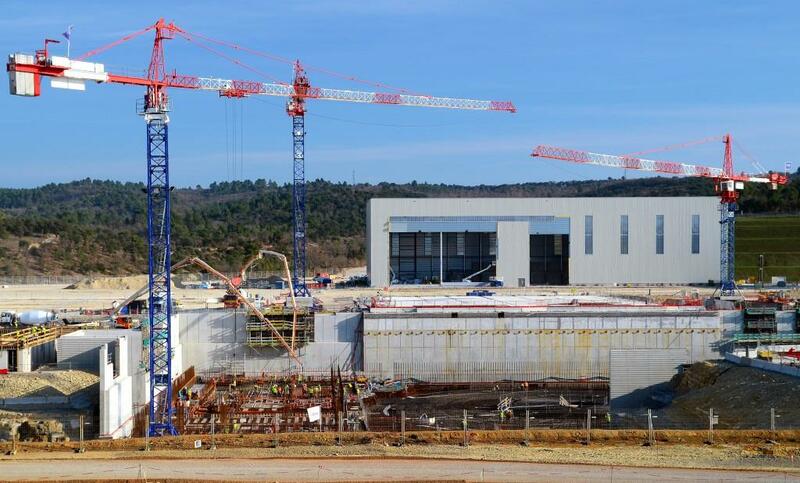 In the northeast corner of the ITER platform, the 6,000-square-metre Cryostat Workshop will house the assembly of the four main cryostat sections from 54 smaller segments manufactured in India. The cryostat is the vacuum-tight container that will surround the ITER vacuum vessel and superconducting magnets. 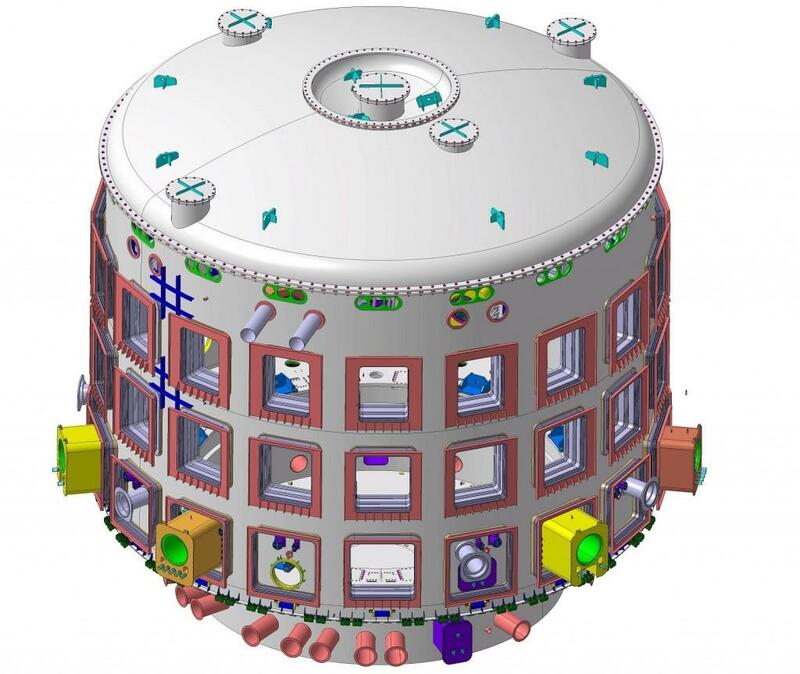 The base section of the cryostat will be the first large component installed in the Tokamak Pit and the top lid of the cryostat will be the last, set into place after the installation of the vacuum vessel, magnets, thermal shielding and central solenoid. 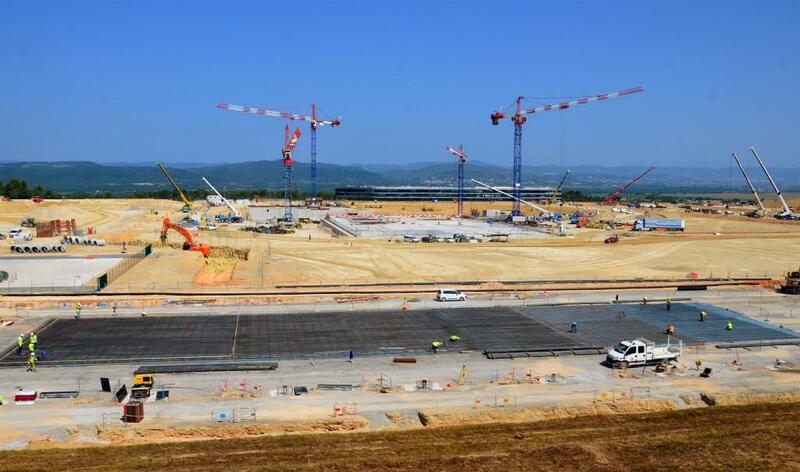 Like the largest poloidal field coils, the size and weight of the main cryostat segments makes travel along the ITER Itinerary impossible. 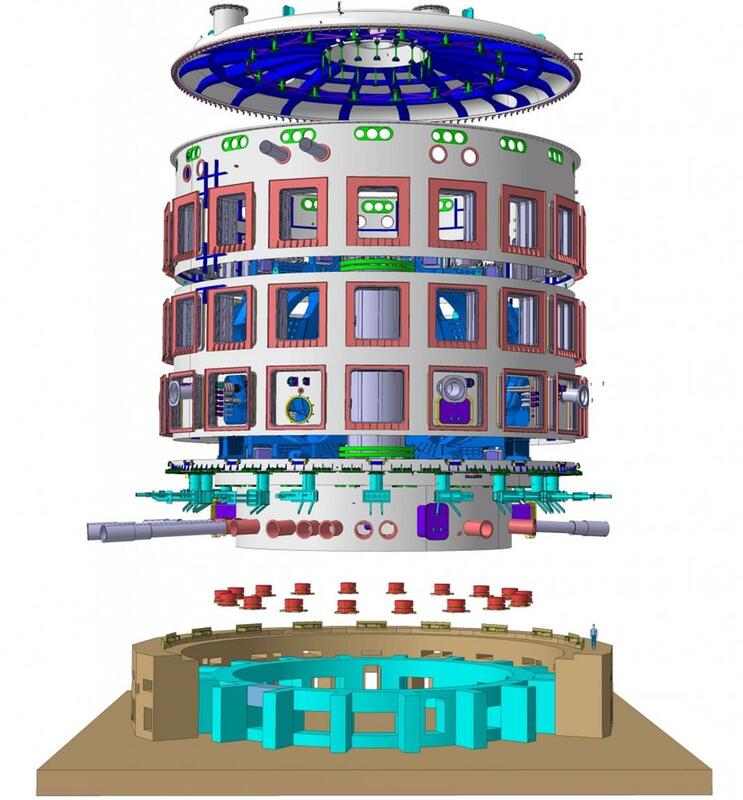 The cryostat base section—1,250 tonnes—is the single largest load of ITER Tokamak assembly; the lower cylinder, upper cylinder and top lid weigh in the range of 600-800 tonnes each. The completed cryostat will measure nearly 30 metres in diameter and as many in height. 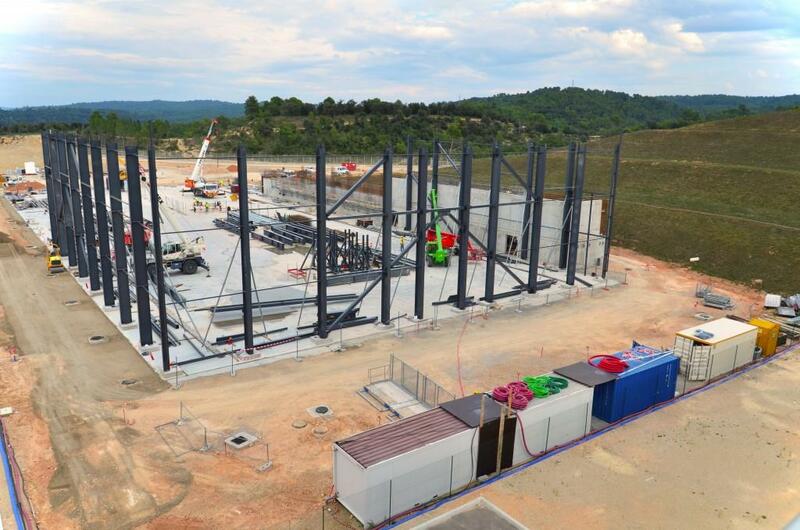 As soon as the Tokamak and Assembly buildings and their heavy-lift crane are available, the cryostat base must be ready ... and the lower cryostat cylinder soon after that. 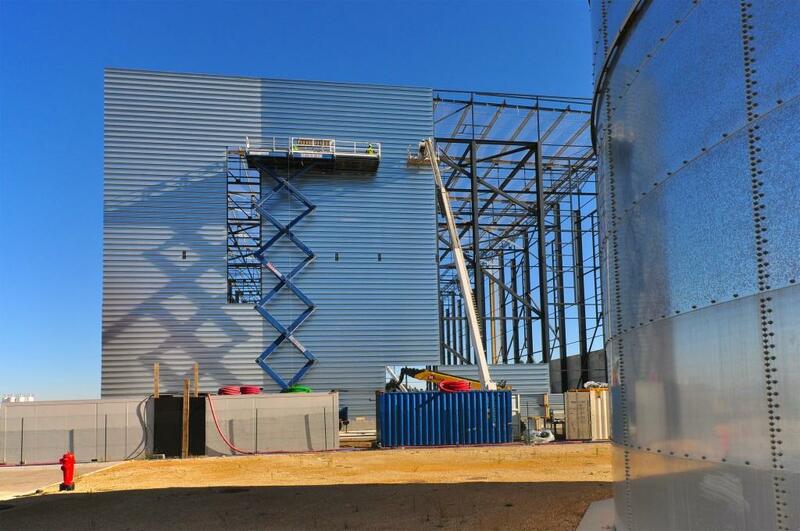 A gap of about two years will then follow before the upper cylinder and top lid can be assembled in the Tokamak Pit. 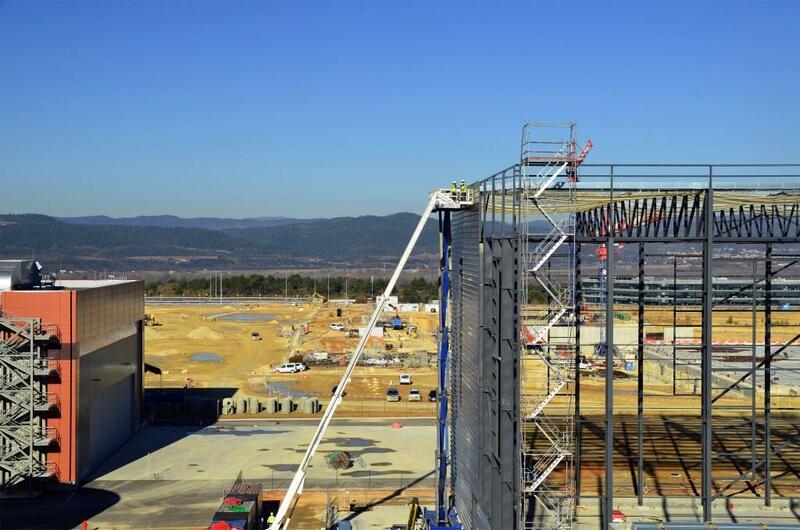 Assembly operations in the Workshop will take place on two 30 x 30 metre platforms that will also act as transporters: once completed, the sections will leave the building on their platforms and travel by rail the short distance to the Assembly Building. 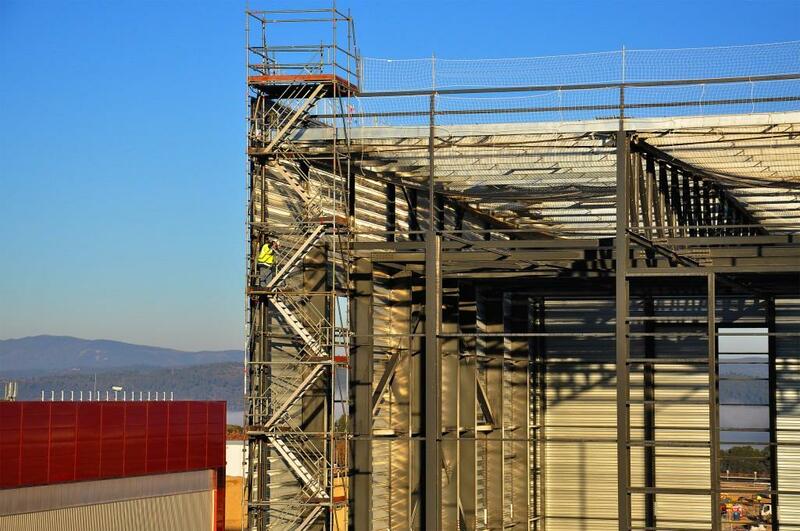 Approximately 50 people are expected to manage operations during assembly of the cryostat segments. 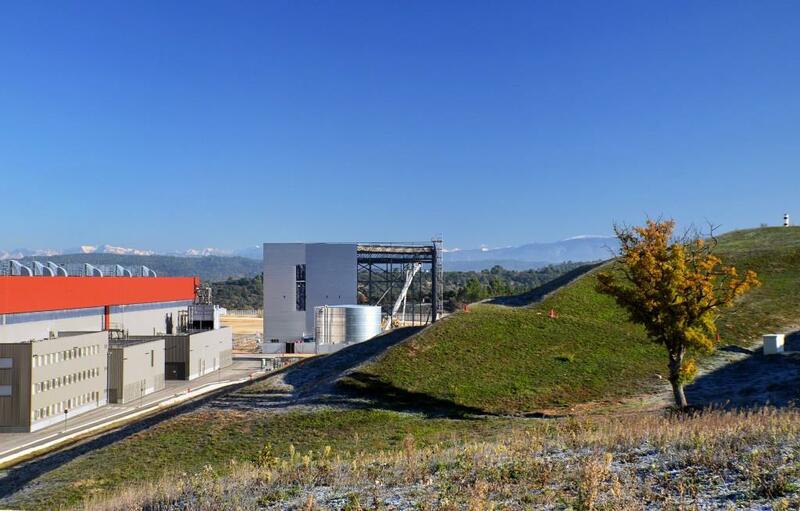 The ITER cryostat is the procurement responsibility of the Indian Domestic Agency. The design, fabrication and assembly contract has been awarded to Larsen & Toubro Ltd—this contract also includes the set-up of the Cryostat Workshop, workshop assembly activities, and in-pit assembly (integration of cryostat main sections, welding, etc.). Cryostat assembly activities are underway now; for more information visit this page.